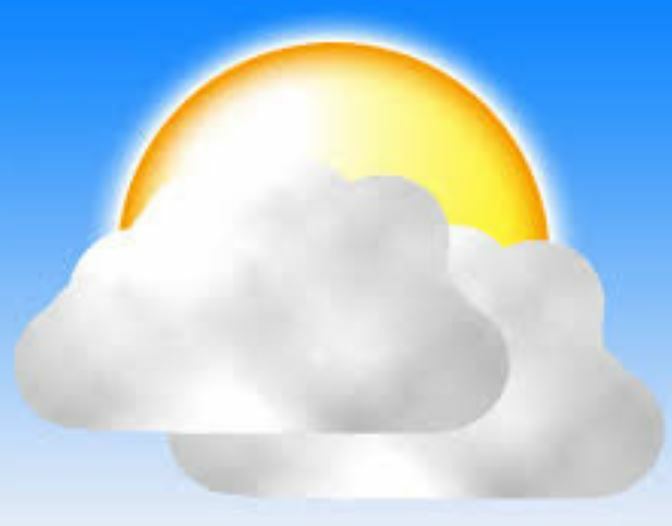 It is a cloudy morning today, but we are not talking about the weather. Cloud services are quite popular now and are available quite abundantly and down-to-earth. There are many discussion in the corporate world regarding availability, reliability, and security for enterprise level type of cloud services. But how about personal/home level, what do we need at home? When I talked to people, it is amazing that many people have no idea on what cloud service is, to them, it is just some magic that just happens, and it sounds really cool but can be costly. 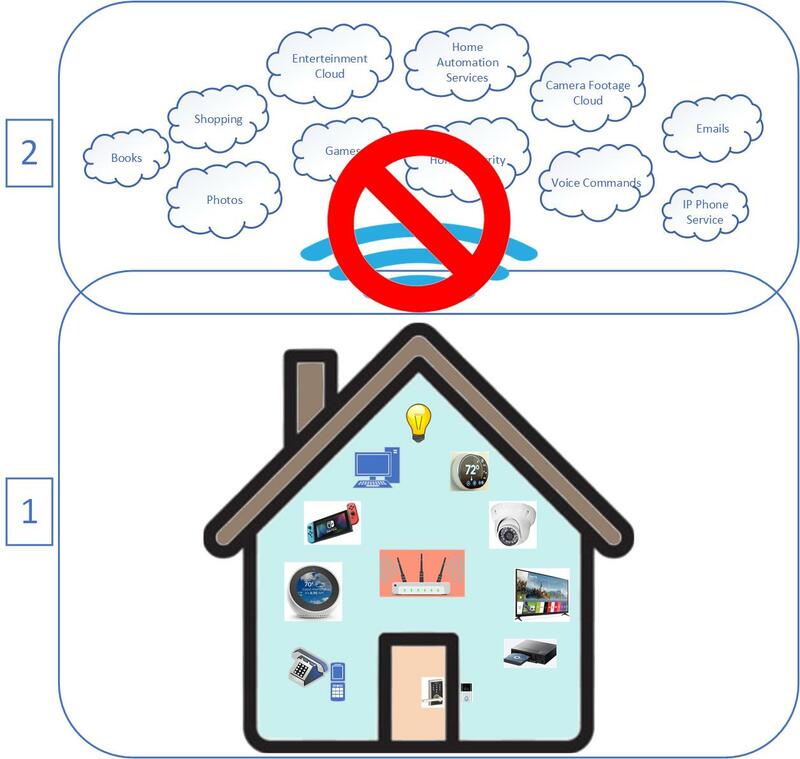 The topic of cloud service for personal/home usage is an interesting topic nowadays as home automation and data storage services are quite part of our daily life now, but have we consider what are some of the advantage and disadvantage with different cloud services, or the devices that uses those cloud services? 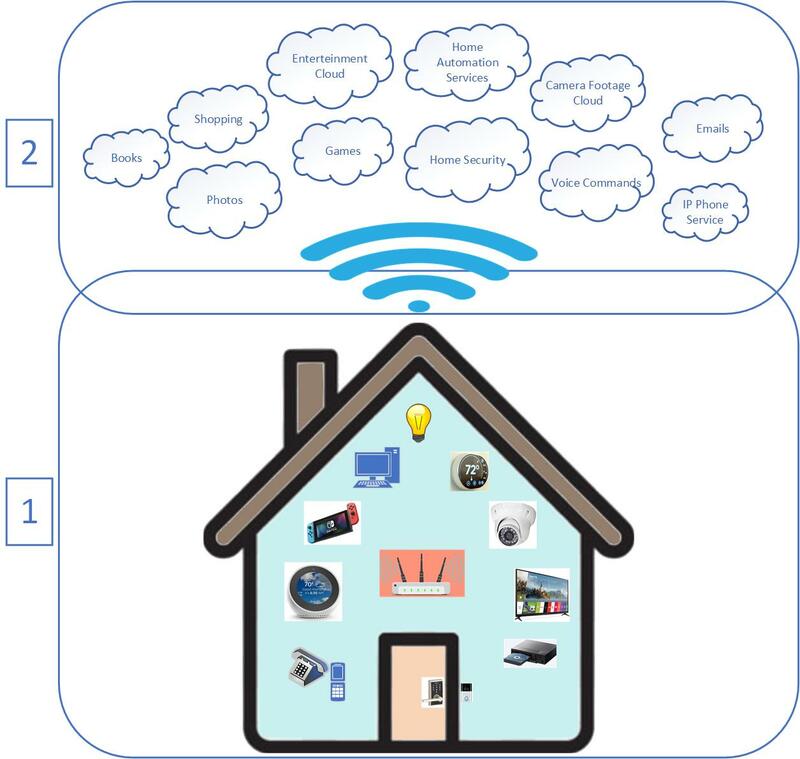 Here is what an illustration of what a typical home configuration looks like. We have many smart devices inside our house, doorbell, locks, light, thermostat, security camera, TV, stereo receiver, … etc. Your home network: that is usually called intranet. It is a private network used for your family and home only (unless you didn’t secure it well). You usually starts with one or more network routers that will allow you to connect devices with wired (Ethernet cable) or wireless (2.4 or 5Ghz). The rest of the world: that is usually called the internet. It is a public network that allow you to read online news, view video on YouTube, check balances on your bank account, … etc. You usually connect to the internet with some internet service provider like your cable company or phone company. You usually start with a internet modem connected to a physical cable from service provider to the outside world. 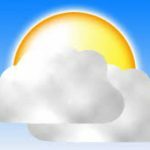 In order for us to decide what type of cloud services we should or need to use, we must think about some basic requirements. 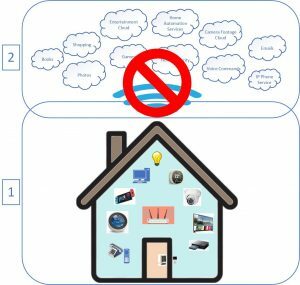 Can my home survive alone: all basic home services should be able to operate on its own without the internet. Consider that during any natural disaster, the things that are vulnerable for outages are electricity, water, and yes internet service. It is important that you should still be able to operate the basic services in your home, like opening a door lock, turning on a light, and maybe watch some old video when there is nothing else to do. Backups and copies: it is great to have all your data in the cloud, 20 years of family photos, 3000 songs, days of security camera videos, important documents, … etc. But if your only copy of those data are in the cloud, how do you access it when you don’t have internet access? what happens when the service provider is down? what happens if the service provider goes belly up and went out of business? So can our fully automated home survive being Home alone? The question you need to ask is will your smart devices work within your intranet, without having to reach out to the internet? A simple way to test is to unplug your internet modem, so that you are no longer connected to the outside, but your all your home routers should still work. 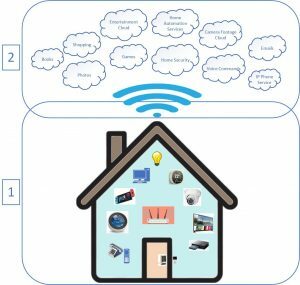 You should be able to reach all the devices on your home network. When you do a test like this, you will see that some device works fine, and others have major problem, as I see that some of them requires to reach their server for authentication and other configuration info, which basically preventing you to control the device electronically. Only some devices have the smart logic to handle the so-called local mode correctly. Most smart door bell currently comes with a camera which will show live video and can also record video. But usually requires internet connection to operate and additional cloud service needed to store recorded video. They don’t come with any local SD card slot so that you can’t record locally at all. The problem with this setup is that if you loose your internet connection, you will not have the luxury to see any video, but you may not even be able to hear the door bell sound depending on your setup, as the common setup is that when user press the door bell, the door bell send the sound notification via internet to your connected sound devices, like your cell phone or tablet. Most smart door lock are more thoughtful in their design and security concerns. That’s probably because smart door lock started their design without the internet. There usually a physical unlocking mechanism like a keypad or fingerprint sensor, and those info are physically stored on the lock itself. In addition, there is usually a backup key to unlock it the old fashion way. The smart door lock then evolved into a remote accessible lock with connectivity via other smart hubs, or Bluetooth connection. Please note that most smart door lock are battery operated (probably because doors in the consumer market are not usually wired for electricity ready), so that is also something that need to keep in mind, don’t wait till the battery is totally dead as you may really need the backup key as your only way to open the door. Look for features such as low battery notification so that you are always ahead of the game. There are smart light bulb, smart plug, and also smart switch. All of them has the mission to turn on and off a light, and makes it really fun when you can also schedule them. Depending on the device and the brand, so make sure to test it out. I find that in general, the ones that is WiFi enable can operate in a “local” mode, so that you can still control the light when you are in the intranet while the internet is not available. I have a few TL-Link smart plugs and together with the Kasa app, they works beautifully when internet is not available. I have a higher end device like the Lutron Caseta Dimmer Switch, as it is connected via a smart hub, it is not accessible via the phone app. You can still operate it using the physical switch or its switch. Camera that does not allow local recording, videos are stored only in the cloud. Just think about it, this is security for your home, but in order to store the video, the camera need to record and send the video up to the cloud in real time over WiFi and Internet, before making it back to your intranet so that you can view them. First of all, you will encounter delay in viewing as it depends on how fast your internet speed is. Second of all, you are in trouble if the internet is down. I truly believe that manufacturer are doing this cloud only implementation only for business reason, so that they can get you to subscribe to a monthly cloud service. This is not good for availability and reliability. I like to buy camera with an micro SD card slot for local storage and an optional cloud service. If you don’t want to pay for the extra cloud service every month, you will have all your recording on your local SD card. If you like to have the comfort to know that your video is also available offsite, you can also use a hybrid configuration where the recordings will be available both locally and online. This is to prevent a thief to just take your SD card or your camera to destroy the evidence, same for any other natural disaster. So the ultimate question is can you view the camera’s video from your intranet even when internet is down? It varies by camera, so make sure that you do some research before buying. I have tested with a few camera, but unfortunately, even with local SD card storage on the camera, most phone app requires to connect to the cloud server for authentication and maybe some configuration info. Only a few older camera actually stand up to the test as authentication and video serving is done locally on the camera hardware. Although it is important to note that if you do have the local SD card, you can also remove the card and view the video from your computer instead. Most Wifi Smart Thermostat works well without the internet. As it is also evolved from the older thermostat design. It is very much self contained and can continue to operate normally without internet or WiFi. You do loose some of the functionality like you can not control it remotely, but it does not affect it’s core operation. This is probably the worst offender. Smart hub are more complicated in design, and I have not seen one that can run “locally” in the intranet. Lots of dependency on the internet. I have a Wink hub and it basically won’t run when internet is down, as it has very tight communication with the remote server. I believe the Samsung SmartThing is also similar. Problem is that people are designing architecture that is also compute on the cloud, meaning that many devices are nothing more than a connector to the cloud services, even as simple as authenticating a user and starting a session, to automation logic that will create an automation sequences, all of them are stored and executed from the cloud. Smart devices are great and Internet of Things are wonderful, but an educated consumer is the best to be able to take full advantage of them. Focus on availability, reliability, and security when you are thinking of adding a new device. And when in doubt, just unplug the internet for a few minutes, and you will quickly see which device may fail and become unacceptable. You just don’t want to find out when a real disastrous event happens.